I am totally new to this. I am really hesitant to get one since I believe the formula "skills > peripherals". and that made me decide to go and try mechanical. 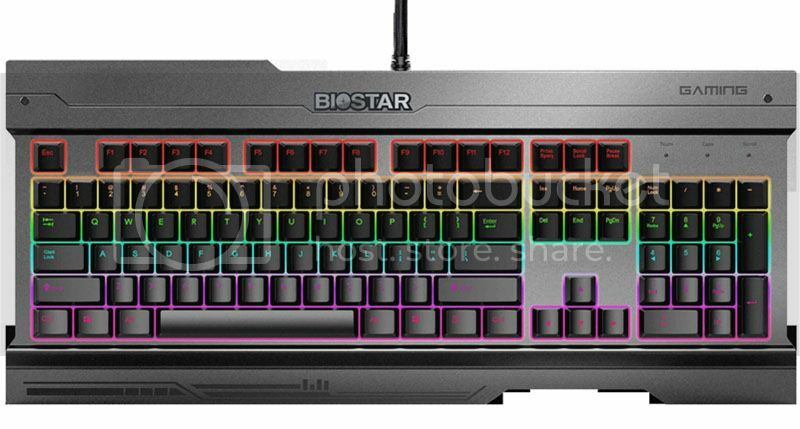 I am looking for a mechanical keyboard for a beginner budget conscious me. Searched for those cheapo ones and found this. I think it would be better to get one from a established manufacturer. I am now using a led backlit gaming keyboard from dragonwar, yes lights are important,I love playing in the dark. Feel free to suggest anything within that price tag. Expect to pay more if you want fancy lighting as well. Scan often sell refurbed corsair keyboards, another option for a lower entry point. The term 'mechanical' started off as a bit of snobbery to distinguish a group of favoured high end switches from the unwashed masses. It has been put on a slightly more rational basis since then, but it's still not a very useful categorisation. If you're unhappy with the feel of your keyboard then it's well worth trying different switches and different keyboards. It is all about feel though, all the stuff about better response times might matter if you're a professional gamer but it doesn't for the rest of us. Personally I never notice keyboard feel while gaming. As long as the keys don't jam and the anti-blocking isn't obnoxious I'm quite happy. I'd quite happily game on the most awful keyboard I've owned. But I do use an expensive Strongman keyboard that would probably cost £150 if bought new these days because I find keys giving accurate feedback greatly helps while typing. It is technically a mechanical keyboard (Alps clicky) but I equally enjoy high quality rubber dome keyboards. I had a 486-era Gateway keyboard that was great and would probably have bought a Topre if it had been available in a modern UK layout. In short, do investigate other keyboards if you're unhappy with the feel of your current one but don't buy something just because it's 'mechanical'. I've got a Func KB-460 i think it counts as a budget one as i paid £50 for it. Had it around a year now and i find it quite good. A factor i consider is durability. i once had a cm devastator gaming combo whatever, the mouse was broken after a few months. The keyboard is still functional but after a year it was sticky and i find it hard to press on. Now, can you say that mechanical keys is more durable than those membrane ones? that's one good looking KB too, sad im from asia and can't find it anywhere.